This cozy little headboard is perfect for a dorm room. It's so comfortable to lean against while reading or writing a paper. These will work with any twin bed. We made these as easy to hang as a picture, and are available in a variety of shapes, patterns, and colors. 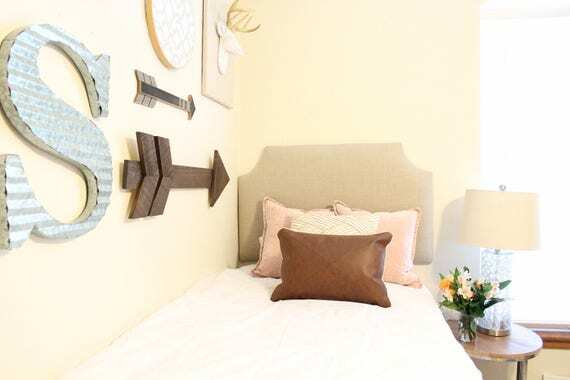 This listing is for the headboard only. Our dorm headboards come with two D rings attached and coated wire for easy installation. You can simply mount it to a wall using velcro, a Command Sticky Nail Wire-Back Hanger, or a monkey hook (not included). Please make sure this complies with what your dorm allows prior to ordering.